Here we are sharing a list of 5 Best Metro WordPress Themes that let you create an amazing website having metro style look of Windows 8! It’s no secret that almost all businesses need a nice website to compete in today’s digital age. Yes! A brilliant website is the front door of any successful business. And, you never get a second chance to make a first impression! That’s why your website should be a tasty piece of inspiration having cleanliness, readability and objectivity. If a new visitor doesn’t like what they see, then they will surely hit the “back” button. Unfortunately, a lot of people still judge a book by its cover. But here metro-style websites are winning the game! Because they have flat colored live tiles and masonry grids on the smooth scrolling canvas. Their typography-based design make your website clickable and appealing. You will definitely gonna love Metro UI. 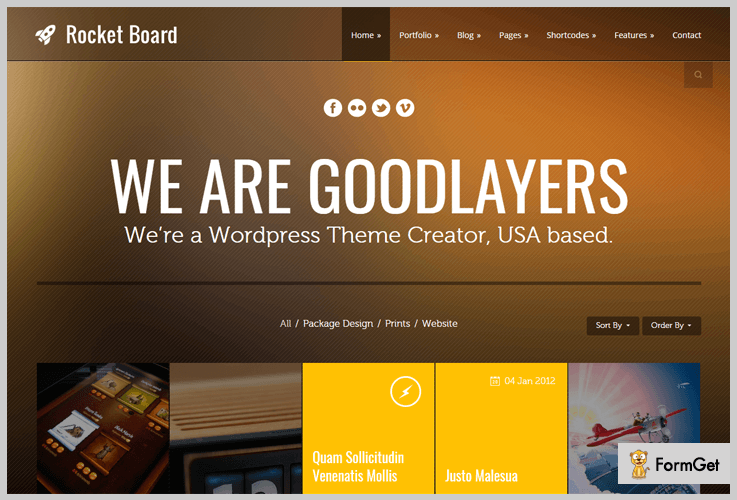 Let’s check out our latest collection of handpicked Metro WordPress Themes! Weve is a minimal metro-inspired WordPress theme. There’s plenty of white space in the website layout for viewers to rest their eyes. It has four different sliders i.e. custom, revolution, royal and flexslider displaying your website in a more non-intrusive way. Weve is localization ready so that you can translate it on any language and expand your business into global markets. Weve includes awesome pricing tables to display the various packages of your business. The template is prepacked with tabs, accordions and lists, providing your webpage content a systematic frame. You can add unlimited sidebars through Weve on your website. Grab this premium template at $44. Rocket Board is a Metro-style portfolio WordPress theme with 8 overlay animation effects. The portfolio items are Masonry layout stacked which is the best kind of layout for grids of images. You can fix the thumbnail size as 1×1, 2×2, 1×2 & 2×1. The template allows to well-set the specific colour of each metro box. Also, you can set the first state of metro box as a color box or a feature box as per your website. Rocket Board template provides the revolutionary way to gain rewards from SEO. It used heading tag for title, moved main content first and it also supports ‘alt’ tag, helping the search engine to refine your website easily. It has 9 predefined background colors to give the best look to your metro style website. The template supports drag and drop module providing the better user experience to the users for building their web page. It supports both frontend and backend customizer. You can buy RocketBoard at $49. Mantra is a very unique WordPress theme with a metro-style arrangement. It’s frontpage is quite different from that of the most themes. It has a set of feature images all over the frontpage that click through to different pages in the theme. When the visitors hover on each image at the front page, it will does a flip showing short description of that clicked image. The outstanding feature of Mantra is that you can create ‘Before & After Page’ to demonstrate your skills in photo retouching. These images are retina ready and your website will work well on all screen sizes. 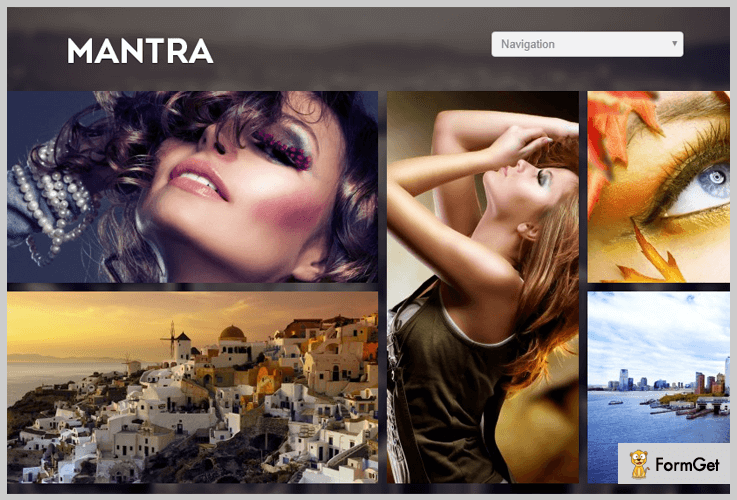 You can create unlimited portfolio and galleries through Mantra. It is Google Map integrated to share your business location on the website. Mantra supported 40+ Cufon fonts, providing you a wide selection of font types and styles. You can purchase Mantra at $49. 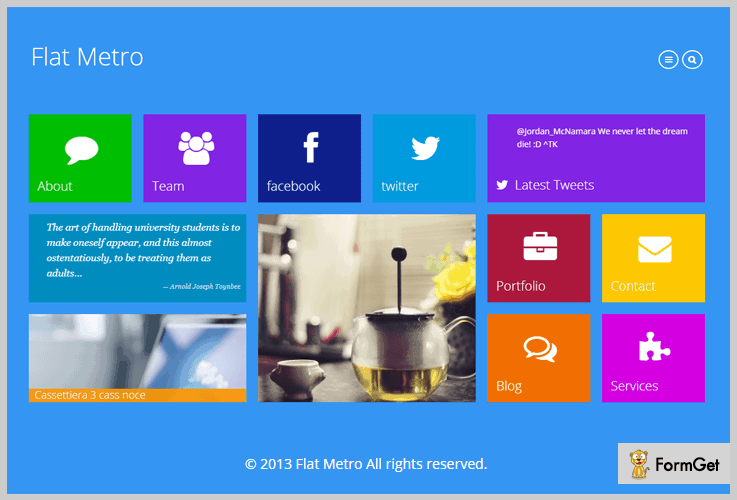 Flat Metro’s front page has exclusive layout as compared to other templates. There are set of icons of different pages of your website like about us team icon, twitter and FB icons, testimonial box, services etc. on the homepage. It’s homepage layout is such that there’s no text whatsoever on it. Flat Metro has well-ordered service page template. You can display your services at the 3 column feature section as well as your pricing plans with check out button at the service page. The template allows to display font awesome icons at the feature area of service page template. It has toggle menu bar for accessing pages of your websites. Flat Metro also displays gallery images one by one in a session on the homepage. It is pocket friendly template having the price of $17. 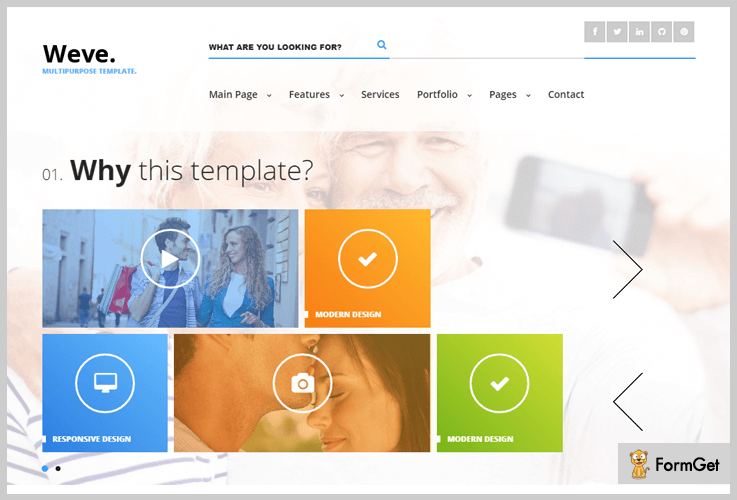 The template is a multipurpose wordpress theme by themeforest. You will get 6 demos to choose the most suitable for your niche. 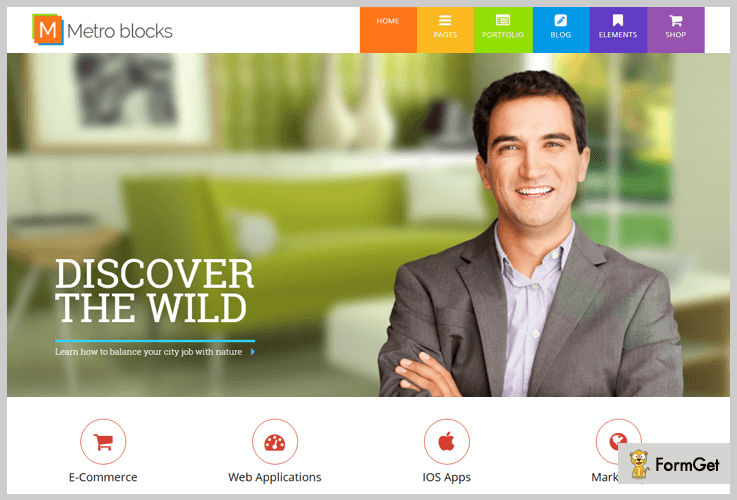 Metro-Blocks is WooCommerce integrated which allow to sale your services online. You will get add to cart, checkout and Paypal payment gateway with this template. This all-in-one theme comes with unlimited colors so that you can create metro websites for fashion, corporate, agency, finance or a shop template. The homepage is pre packed with full width slider, feature section area, portfolio section, team member area and latest blog zone. You will get two slider types i.e. boxed and full width. Metro-blocks is WPML ready so that you can use this template for multiple languages. In general, public response to Metro WordPress Themes is on cloud nine. This metro style trend is innovative as well as narrowly focussed on your niche. What do you personally think about metro style website layout and which theme have you picked from this post? Leave your feedback in the comment section below.